Understanding the American Revolution as a civil war is an accepted concept. In 1975, John Shy argued that the Revolution was a civil war. Since then, a number of historians have made similar propositions. More recently, in 2012, Alan Taylor delivered a talk, in New Mexico, titled “The First American Civil War: The Revolution.” There are other instances, too, and they are not hard to find or engage with. I don’t think historians will jettison the civil war framework, either. Indeed, we will be understanding the Revolution as a civil war indefinitely. Was the American Revolution a “civil war,” though? I mean, seriously? Or, is framing the Revolution as a civil war another way to package the conflict with hopes of making it more appealing? However packaged, framing the American Revolution as a civil war is hard. It does not fit neatly alongside other “civil wars.” The American Civil War, the English Civil War, and the Spanish Civil War were different conflicts, taking place amid contrasting social, political, and cultural circumstances. More substantively, though, the difficulties of comparing the American Revolution to these civil wars relates to how we conceptualize the constitutional arrangement of the eighteenth-century British Empire. Were Britain’s North American colonies woven into the Empire’s fabric? Was it an organized political entity in 1775? Was the Empire working? How did Britons view the constitutional crisis? Did people in Aberdeen, Bristol, or London call the Revolution a “civil war”? What about colonists in urban centers, rural hamlets, or in the backcountry? Answers to these questions could differ, sharply, but they would provide a fascinating insight into how the conflict was perceived on both sides of the Atlantic. Conceptualizing the American Revolution as a civil war, moreover, suggests that there were coherent groups of loyalists and patriots—groups which were in consistent opposition to one another. It didn’t work out that way, though. People changed sides as their wartime circumstances changed. The Revolution wasn’t a simple conflict between loyalists and patriots. Allegiances weren’t always volitional. People didn’t always have the luxury to “choose their own loyalty”; under strenuous circumstances, they were forced to make a decision. Put simply, their “loyalty” was often enforced. The problem of allegiance thus begs the question: Can we really use the term “civil war” to describe a conflict involving (markedly different) people, who were not opposed to changing sides? Clearly, then, a problem associated with understanding the American Revolution as a civil war relates to definition—what is a “civil war”? And what is a “civil war” vis-à-vis the American Revolution and its participants? How did they understand it? This last question is central. Eighteenth-century words and terms do not hold the same definition(s) or meaning(s) today. Today, the Oxford English Dictionary defines “civil war” as a “war between the citizens or inhabitants of a single country, state, or community.” This is a good starting point. But we should avoid thorny issues of anachronism associated with labelling colonists citizens of a “country” or “state,” prior to 1776. This would be misleading. Indeed, one might even suggest that labelling colonists “Americans” before 1778, when France recognized the U.S., or 1783, when King George III did, is anachronistic and forward-thinking. With the OED definition, then, focusing on individual communities appears to be the most appropriate option. From this, comparative analyses might be particularly fruitful. An example. In New York, people changed sides, a lot. In November 1778, nearly every member of a Committee of Safety, in Brookhaven, Suffolk County, took the oath of allegiance to King George III after spending some three years persecuting suspected loyalists. Further, a significant proportion of those in Brookhaven who signed the Continental Association, in 1775, took the oath, as well. Is this a “civil war”? The American Revolution in New York does not equal American Revolution in South Carolina. They were different conflicts, fought under different social, political, and economic circumstances. So, if historians are to continue using the term “civil war” to describe the Revolution, we need to recognize how people’s allegiances, as well as their constitutional interpretation(s) of the British Empire vis-à-vis colonial legislatures, were rationalized and articulated in different ways, amid different circumstances, across Revolutionary America. The urban Revolution doesn’t equal the rural Revolution or the backcountry Revolution. In the end, using the “civil war” framework is something that we’re stuck with, especially in teaching situations. (I imagine the question, “Was the American Revolution a civil war?,” is rather popular.) But, it is important to recognize the difficulties of conceptualizing the Revolution this way. So, just because David Armitage said, “Every great revolution is a civil war,” it doesn’t make it so. Indeed, we must remember, at all times, that my American Revolution wasn’t necessarily yours. 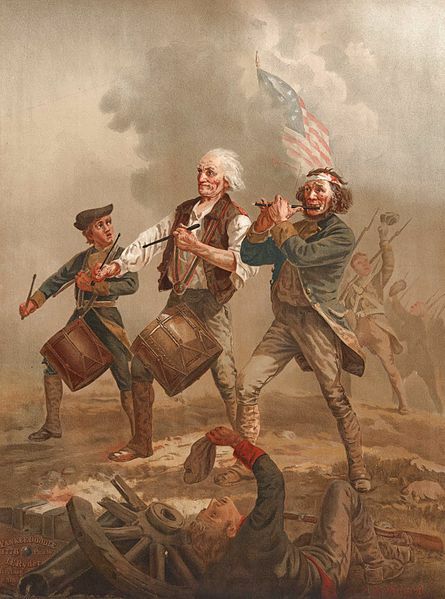 Tom Cutterham, “Was the American Revolution a Civil War?,” The Junto, February 18, 2014. John Shy, “The Loyalist Problem in the Lower Hudson Valley: The British Perspective,” in Robert A. East and Jacob Judd, eds., The Loyalist Americans: A Focus on Greater New York (Tarrytown: Sleepy Hollow Restorations, 1975), 3; see also, Jonathan Clark, “The Problem of Allegiance in Revolutionary Poughkeepsie,” in David Hall, John M. Morrin, and Thad W. Tate, eds., Saints and Revolutionaries: Essays on Early American History (New York: W. W. Norton & Co., 1984), 285–317. See Heather Schwartz, “Re-Writing the Empire: Plans for Institutional Reform in British America, 1675–1791” (Ph.D. diss., State University of New York at Binghamton, 2011). James H. Kettner, “The Development of American Citizenship in the Revolutionary Era: The Idea of Volitional Allegiance,” The American Journal of Legal History 18, no. 3 (July 1974): 208–42, quote at 212; see also Kettner, The Development of American Citizenship, 1608–1870 (Chapel Hill: Published for the Institute of Early American History and Culture, Williamsburg, by the University of North Carolina Press, 1978). Douglas Bradburn, The Citizenship Revolution: Politics and the Creation of the American Union, 1774–1804 (Charlottesville: University of Virginia Press, 2009), 3. Rebecca N. Brannon, “Reconciling the Revolution: Resolving Conflict and Rebuilding Community in the Wake of Civil War in South Carolina, 1775–1860” (Ph.D. diss., University of Michigan, 2007), ch. 1. Thanks Chris for making my post sound like a significant, or at least symbolic, historical event! Here’s my slight pushback to your thoughts: isn’t it likely there were many unaffiliated people who “changed sides” or just generally looked out for themselves in other civil wars as well? I’d go so far as to say that in most civil wars, most people were not committed to a particular side. So I don’t think that differentiates the American Revolution from the Spanish, Russian, or English Civil Wars (or, say, the French Revolution, also a civil war). Your second point seems to be that regional differences matter. Again, I’d say that’s likely to be the case in those other conflicts too. The people of Oxford experienced the English Civil War quite differently from those of, say, Newcastle. It’s true that historians who use the “civil war” framing emphasise the more violent southern conflict. I think the context that actually matters here is the historiographical and pedagogic one: the best reason to call the American Revolution a civil war is to counter the patriotic mythology of a unified, consensual uprising against the evil British Empire. Thanks, Tom, for the comment. And, yes, I thought your post was significant–I used it, last year, in a course I taught at The New School. I’m sure I wasn’t the only person who used the post, either. Your points on people changing sides in other conflicts and the importance of regionalism (or localism) are well put. I’m confident that people in other civil wars did change sides. Labelling people ‘neutrals’ or ‘unaffiliated’ is difficult; how do you quantify or measure that? It’s difficult, unless you find THE golden source. But if there are comparable numbers of people changing sides, then, well, there’s an article there, one that I would very much like to read. On regionalism, yes, you are quite right. As I said, people in New York did not experience the same American Revolution as people in South Carolina. Lumping ‘The Revolution’ in one place with ‘The Revolution’ in another is, in my view, the main issue with the civil war framework. (I mean, look at what happens afterwards, e.g., Patrick Henry’s localist rhetoric, as noted in Carol Berkin’s THE BILL OF RIGHTS.) It oversimplifies the conflict. To be sure, as you note, using the civil war framework is great at ‘counter[ing] the patriotic mythology’. When I tell students how many people changed sides, as well as how bloody and violent the war became, they’re surprised. It’s not ‘The American Revolution’ they’re taught in high school, or the one they see in popular culture. The Revolution isn’t remembered that way. But I feel that some might have taken the civil war framework too far. That’s why I structured the post in this way; namely, to be something which people can turn to to weigh up the pros and cons of framing the Revolution this way: definitions, comparisons, drawbacks. This is enough for another post, I’m sure, but I’d be curious to hear Juntoists’ opinions on the nuance of “Revolution” versus “War of Independence” when referring to the period 1776-1783. I’d be interested in this, too. It would merit another post. (Noted!) In fact, I considered including a poll, in this post, on whether readers and fellow Juntoists think of the Revolution as a ‘civil war’. I tend to agree with John Adams that the “American Revolution” occurred between 1763 and 1776, which means the American Revolution came to an end with the Declaration of Independence. What occurrs from 1775 to 1783 then is the “War for American Independence.” Merrill Jensen adopts this structure in his book THE FOUNDING OF A NATION (Oxford, 1968). Where some historians fall short is by overemphasizing the word “war” in War for American Independence” thus making the focus on the guns, battles, and military leaders. There was a military front, political front, and a social/cultural front. Part of the War for American Independence of course are the battles, but what happened in Congress (as well as on the diplomatic front) needs to be understood as well. By “social/cultural front” I mean examining the struggle to keep soldiers enlisted in the Continental Army, and the war’s impact on the home life and families, which are topics worthy of the same (if not more) consideration in terms of the overall impact of the war on America. For me the Revolution was between the periods 1770-1776 (1775 in much of the colonies). By 1775 New England had completed it’s political revolution, as had many parts of the rest of the country. The war was fought to secure the Revolution, and then I’d argue that a counter-revolution took place afterwards, which was a reaction to the more radical ideas and figures of the war and the previous revolution. I don’t know if the Constitutional Convention would be the culmination of that counter-revolution, or the beginnings of it with the consolidation of federal power that lasted until the first part of the 19th century. For me, the Revolution, at least in New York City, was in mid-1774 and it ran through 1775. In a sense, you could argue it culminated when men like Alexander McDougall mobilized support to establish a provincial congress to elect delegates to the Continental Congress, thereby undermining the legislative authority of the popularly elected Assembly, which had refused to elect delegates. That could be described as a revolution. I tend to move away from the military/political/diplomatic arches in favour of urban/rural/backcountry. Using that framework, I think, enables you to appreciate how people experienced The Revolution differently. >I tend to move away from the military/political/diplomatic arches in favour of urban/rural/backcountry. I really like this idea. The rural people of Massachusetts were pushing for a more radical agenda in 1774/1775 than were most of the urban, and the backcountry people in places like Pennsylvania would have experienced a Revolution much different indeed. Plus this tends to play more towards my historical sensibilities which lay more towards the marxist side of history anyway. Indeed, I’ve thought about it for a while now. But after talking about framing the Revolution (and its participants’ actions) with Ben Carp, I think the urban/rural/backcountry model could be a useful way to understand the conflict and its diversities. On the question of whether or not the American Revolution was a civil war, I say yes. It was a civil war, however, that no one really wanted except for some of the more extreme elements in places such as Boston and New York City–and these more extreme elements were not reflected in the actual political and military leadership of the Revolution. I would suggest that the continued focus on New England as the heart of it all and the focus on the standard litany of events leading up to the declaration of independence (Stamp Act, Townshend Duties, Boston Massacre, Boston Tea Party, Coercive Acts, and Lexington and Concord) obscure the history of the Revolution and the major aspects that would allow for it to be seen as a civil war. Interesting post, and an interesting debate. Perhaps rather than parsing the meanings and usefulness of a civil war framework, though, we need to really think of what we mean when we think of the Revolution as a revolution in the true sense of the term, rather than the sanitized political change narrative that John Adams et. al. left us with. By that I mean, conceiving of it as an all-encompassing, messy event which includes a civil war, social and cultural reversals and upheavals, and, most importantly, was a dynamic event in which people’s politics changed (often many times) in the face of quickly moving events, familial situations, and, I am increasingly convinced, raw emotion. This seems pretty common in other places and times — I’ve just finished Timothy Tackett’s new book on the French Revolution, which draws out a lot of these themes in that context. Food for thought, anyhow — thanks for getting me thinking about this stuff on a balmy, lazy summer day! Very interesting points, too, and I think you’re right: defining what we mean by ‘revolution’ is something that we, perhaps, should invest more time in. That depends on what you mean by “true sense of the term.” “Revolution” and “civil war” had different meanings and connotations in the eighteenth-century Anglophone world than they do today. Before you embark on defining the term, I think you first need to be clear about whether you are trying to apply a contemporary term to the event or whether you are trying to understand how the colonists understood the situation in which they found themselves. For me the Revolution, as an event, occurred between 1773 and 1776. I would argue that the changes between 1763 and 1776 in the self- and civic (i.e., imperial) identities of colonists is hugely significant and much more than “sanitized political change.” That change combined with the reconstruction of governance and popular politics after 1776 seems pretty revolutionary to me. And I mean that word more in an eighteenth-century sense as judged by what had come before rather than after, which, of course, is the only way people at the time would’ve been able to judge. In fact, colonists’ use of the term “civil war” I think strengthens the argument for thinking of the revolutionary nature of the event, in that their use of that term evidences just how much they believed they were part of the same imperial polity as native Britons, which, as mentioned above, makes the break in identity that much more substantive and substantial. Of course, they are also drawing on the only language available to them to describe such an unprecedented situation from their British historical memory, i.e., of the English Civil Wars of the 1640s. The identity shifts, the coordinated resistance and then rebellion (in, say, 1774-5), the declaring of independence, and the creation of state constitutions, for me, is the Revolution. To my mind, the war was the effort to secure that Revolution. That is not to discount the events, developments, and, most importantly, experiences of wartime. But I think that once the war proper begins, you have a much different situation with many more factors impinging on people’s perceptions of what is going on and where they fit in. And I like your list above, Don. The war was highly dynamic, and, for some, it challenged perceptions that they had developed during the resistance phase; for others, it reinforced them. For some (perhaps many), it did both at different times. But it seems clear to me that some of us are talking about events prior to independence and some of us are talking about them afterwards (perhaps seen as the difference in emphasis put on the end of British America and the subsequent establishment of the nation-state). That would suggest to me that, before we can begin to define “revolution,” we need to define “the Revolution,” via periodization. Or at the very least, participants in the debate should, as a matter of course, begin by explicating their own periodization, otherwise (much as happened at the MCEAS and MHS conferences) we’ll just continue to talk past each other. Indeed, Michael. I agree with a lot of what you’ve said here. It’s difficult for us to truly understand ‘the situation’ colonists were in between 1765 and 1775. We can try to understand, and we do. But I don’t think we can distance ourselves from our world. Even if we try, I don’t think we can, or should, deny our presentist biases. Colonists’ use of ‘civil war’ is difficult. From my research, it’s mostly ardent loyalists—men like Charles Inglis and John Milner—who use the term. Have you found evidence of other people using it, c. 1775–1777? I agree with you on the critical period between 1773 and 1776. The overhauling of provincial assemblies was revolutionary. Traditional institutions were rendered obsolete. In New York, its royal governor was left on a boat in the harbour, isolated and stranded. Powerless. I appreciate your emphasis on periodization, too. I think it’s important. Of course, it will vary from place to place, but between 1773 and 1776 will, I think, be the most ‘revolutionary’ period. Excellent points, Chris. I have seen patriots (or non-loyalists) use the term in the years after 1776 but more, it seems to me, in terms of quick characterization and not as the basis of a substantive argument about the nature of the conflict. And I agree that can’t wholly deny our presentist biases. I am just suggesting that we be more explicit about what it is we’re talking about, i.e., the historical subject’s perspective or our own, both being valid concerns for a contemporary historian. And I also agree that the years between 1773 and 1776 were the most “revolutionary.” Don’s excellent point above, though, I think makes an implicit distinction between “revolutionary” and dynamic instability and uncertainty, which the war certainly brought to the lives of everyday Americans. But to my mind that only strengthens my belief that the Revolution occurred in the period between resistance and that of independence and the state constitutions. What happened after (i.e., the war, the political, social and economic developments of the 1780s, and ultimately the Constitution) were the consequences of that revolution. I don’t say that to diminish their importance in any way, but to say that they (like the Revolution itself, for that matter) were the product of previous events and developments. Absolutely it was a Civil War. Not all civil wars have well-defined sides and consistent antagonists. For a current example one could look to the current Syrian Civil War which is a multi-sided affair with groups switching sides or joining with other groups or splitting off, etc. Obviously some parts of the country were more explicitly bitter civil wars than others. South Carolina was one of them, as was New Jersey. Most of the battles of the war had significant portions of Americans on both sides, not to mention the vast number of local actions and skirmishes between American militias. Even in areas where it wasn’t local militia vs local militia, is it any less of a civil war when provincial units such as the British Legion are being used to pacify areas of the country without a strong loyalist presence? This is exactly the point I was trying to make. I suppose it depends on what’s your preferred school of historiography, the gentleman above references those who would wish to attack “patriotic mythology” in an attempt to weaponize history for a political context, example, The New Left. However, I don’t call these people historians, I call them political commentators. History is used by individuals on all sides of the political spectrum, not just ‘The New Left’. In Andy Schocket’s FIGHTING OVER THE FOUNDERS, he shows how left- and right-leaning politicians (as well as cultural institutions and popular media) use the history of the American Revolutionary Era to articulate a particular view. And it’s not just politicians, either. We all have our politics and, in some way, it creeps into our interpretation(s) of events, ideas, groups and people. Of Course, The New Left is just one example; however, to pretend that historiography has no empiricists that attempt to present as many assertions based on any evidence is itself a postmodern bias that “we all have version of the truth. The shift in allegiances in Suffolk County (Brookhaven being one of its component towns) is best understood as a result of coercion and intimidation following the British victory at Brooklyn in 1776 which left the entire Island under their occupation or influence. The residents of Suffolk were heavily Presbyterian/Puritan, and descended largely from New England settlers, retaining strong familial, social and economic links with the Yankee mainland. British authorities frequently bemoaned the Whiggish nature of the inhabitants, and Benjamin Tallmadge, the Long Island native who ran Washington’s major espionage ring in the region, declared the people of the County on “our side.” One of his objectives in raiding British strongholds on Long Island was the ease pressure on the inhabitants and boost their morale. These British forts were usually garrisoned by Tory units rather than British regulars, and a good proportion of these came from the heavily Loyalist western sections of Long Island. What was going on in Suffolk, as in Westchester, resembles the civil war in Kentucky and Missouri during the 1860s. I’m going to further bite and dive more into the topic rather than press upon the historiography and semantics of the debate. I had a nice chat with Professor Owen at the train station this morning about this piece which gave me a renewed vigor on the topic. The question posed is whether the American Revolution was merely a civil war. Honestly, I believe the answer hinges on how did the colonist view themselves. As I was taking a further look into the topic I also came across a post that was posted on this blog by Professor Own himself where he tackled colonial identity when reviewing the book “1775” by Kevin Phillip from December 27th, 2012. Professor Owen indicates that “in the early stages of the revolution, American partisans were not defined by national labels, but rather as ‘Whigs’ and ‘Tories’– political labels above all others.” So far as I understand the British had politically ignored the colonies in the early part of the 18th century which led to these identities and colonial political institutions, I would surmise an example would be the House of Burgess. This begs the question does political identity foster a new national identity? As described further in Professor Owen’s post is that political thought; therefore, political identity becomes most significant as completely transforms into American founding ideals. In many ways this transformation happens during the war, which would make it revolutionary. The part that becomes debatable is the beginning of the revolution and the end? As I explained to Professor Owen this morning, the Constitutional Convention could be argued as the true American revolution as the creation of American government; however, American political philosophy I believe begins earlier than that period. One must consider the revolutionary factor of others not emulating, for the most part, American government. Even Simon Bolivar who believed in Classical Liberalism would assume dictatorial powers believing that South American nations could not unite like American colonies with proper checks and balances. Contrary to what I see in the news, I do believe words still have meaning, and looking at the Merriam-Webster definition of the word Revolution to end the rule of one government and start a new. I believe the American Revolution meets the political criteria. Thanks for the two comments. On empiricists: I’d be interested to know who you think fits the criteria of an ’empirical historian’. Of course, those who crunch numbers could fall into that bracket. My own work has a lot of quantitative material in it. But I use the number-crunching alongside qualitative methods as well as social network analysis and G.I.S. (The latter two could also fall under the empirical bracket.) But to to deny, or at least question, bias in historians’ work is difficult. For example, the type of work on the American Revolution that was being published in the 1950s and 1960s, i.e., during the Cold War. I think the ‘Revolution’ happened when the colonies, in effect, dissolved royal governments and set up their own. This starts between 1774-75. It happens in different colonies at different times and at varying rates. As Michael noted above, what came after–the War–was fought to protect these. And you are correct: words do matter. The cadence of the prose in the Declaration of Independence or the almost musical narrative that Douglass provided in NARRATIVE OF THE LIFE OF FREDERICK DOUGLASS shows that. Speaking strictly on empiricism, I think using a type of Bacon method to prove assertions is essential when dismissing past legends. For example, was Ann Rutledge the sweetheart of Abraham Lincoln, or merely the concoction of William Herndon? The question arises whether the romance is discussed from any other credible source? There appears to be documentation of the romance from first person sources; however, many of those occur 60-90 years after the events? Does that discredit them? Should there then be a consensus of an approved method? Objective historians? Daniel Boorstin advocated for empiricism in the 20th century. Although advocating and being, I concede, are two different things. I think a strong case can be made for describing the American Revolution as a Civil War. I have been struck by the fact that commentators ranging geographically from South Carolina to Edinburg, New York to Dublin, and from Calcutta to Kingston referred to the conflict from 1774 onwards as a Civil War. They did so because they took the Empire seriously. They did so in many cases with explicit reference to Roman and English history. It is also important to note that the significance of the Declaration was as a move to shift the conflict away from the terrain of civil war. That is, as most contemporaries noted, as long as the conflict was a Civil War it was both ideologically and strategically problematic for European imperial powers to formally support the Americans. No state wanted to invade the sovereignty of another state. And there was always the danger that a civil war would lead to reconciliation and therefore punitive reprisals against those who aided one side or the other. It has long been fashionable about some political scientists to describe Revolutions as a subset of civil wars — Armitage is no innovator here. But it strikes me that not all civil wars have profound ideological elements. They can be regional. They can be class based. They can be ethnically based. In my view the term civil war in this case captures perfectly what happened. This was not merely an Anglo-American conflict. This was a conflict that began as a debate over the proper way to run the Empire. It was a debate over the political economy of that empire. That is why so many North Americans thought and hoped that the Non-importation agreements would lead to a change of ministry and the return of the Patriots to power in Britain. This was also the hope of many in Ireland, in the West Indies, and in Bengal. Until July 1776 one can argue that there was an imperial civil war — fought not only in North America but right across the Empire. Thanks for the comment, Steve, and especially for the insight into other views of the Revolutionary crisis. As an Edinburgh native, I’ve always been interested in pursuing an article-length project on how Edinburgh inhabitants engaged with the conflict. So, if they understood it as a civil war, I’m even more interested in taking a transatlantic trip to the N.L.S. reading rooms. I agree with you on how significant the debates over the political economy of the Empire were. In New York, the DeLanceys articulated a different political economy to that of Alexander McDougall. And whereas the DeLanceys—especially James DeLancey—were associated with the Marquis of Rockingham—and, by extension, Edmund Burke—McDougall’s transatlantic ties were almost non-existent. He didn’t correspond with high-profile Britons. From 1774, he turned to the likes of Sam Adams. By then, I don’t think McDougall was overly concerned if Rockingham returned to power; DeLancey most certainly was! I’d be interested in reading about how different parts of the British Empire could be linked together to argue that, by ca. 1774–1775, there was an imperial civil war. It would be a provocative argument, one that could spark debates on our understanding of the constitutional (re)organization of the British Empire. The NLS and the National Archives of Scotland always are worth a visit. There is also some interesting material at Blair Castle on this question and in the Scottish Catholic Archives — now moving to Aberdeen. I’m not sure personal connections were necessary for folks to see this as a Civil War. I have been struck by how much the American colonial press from Peter Timothy in South Carolina to the papers in Ne England covered British political developments in excruciating detail. So while it is not surprising that someone as well connected to international trading networks as Henry Laurens saw the conflict as a Civil War, it is perhaps more surprising that so many of the Virginia Counties used the language of civil war (to be avoided) in 1774. What makes colonists’ use of the phrase ‘civil war’ even more interesting and thought-provoking, then, relates to how they understood the term from a historical and political standpoint. That is to say, their memory–or memories–of what a ‘civil war’ was, how knowledge of civil wars was diffused throughout the colonies, from Virginia, South Carolina and Georgia to more distant places like Massachusetts, New York or New Jersey. If we allow for the definition of “civil war” to include the state as a combatant, then yes, it was most certainly a civil war. Unfortunately, primary sources on the issue are scarce, but they do exist. I found a map of New England drawn in 1775 by a surveyor named Bernard Romans. It was given by him to John Hancock, and its title bears the description “map of the seat of civil war in America.” (Library of Congress link: http://www.loc.gov/item/gm71002459/). Also, James Thatcher, a surgeon in the war, wrote in his journal, “I find our country about to be involved in all the horrors of a civil war,” then proceeded to describe why he thought so. (Link to partial journal entry: https://www.milestonedocuments.com/documents/view/james-thacher-military-journal-during-the-american-revolutionary-war/text). This is a topic worth the dialogue, because it will, among other things, allow for the nature of war to be categorized in a more specific manner. I can only add a little to this post. Our family Bible contains a letter dated September 1777 from Robert Leadbitter written at the Ticonderoga encampment. He state…” I take harshly the task of killing my fellow countrymen, may God almighty soon end this dishonest civil war” Robert Leadbitter was an engineer from Durham England serving in the British Army. What a truly fabulous quote, James, and it’s amazing that you have your eighteenth-century family bible.